Top Flow Water Pumps are designed to meet the demanding requirements of water transfer applications in residential, commercial, industrial, and agricultural sectors. 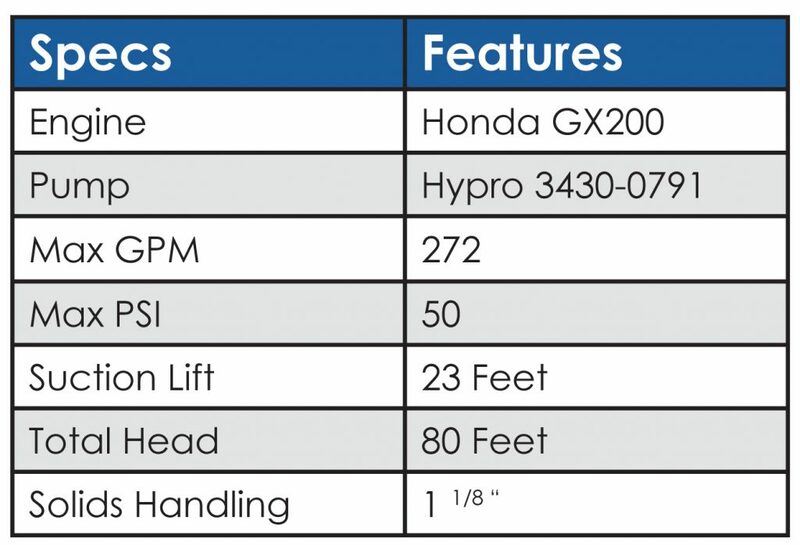 The WX200A-TWB80 is a 3” trash pump that partners a 3430-0791 Hypro pump with a Honda GX200 overhead valve engine. 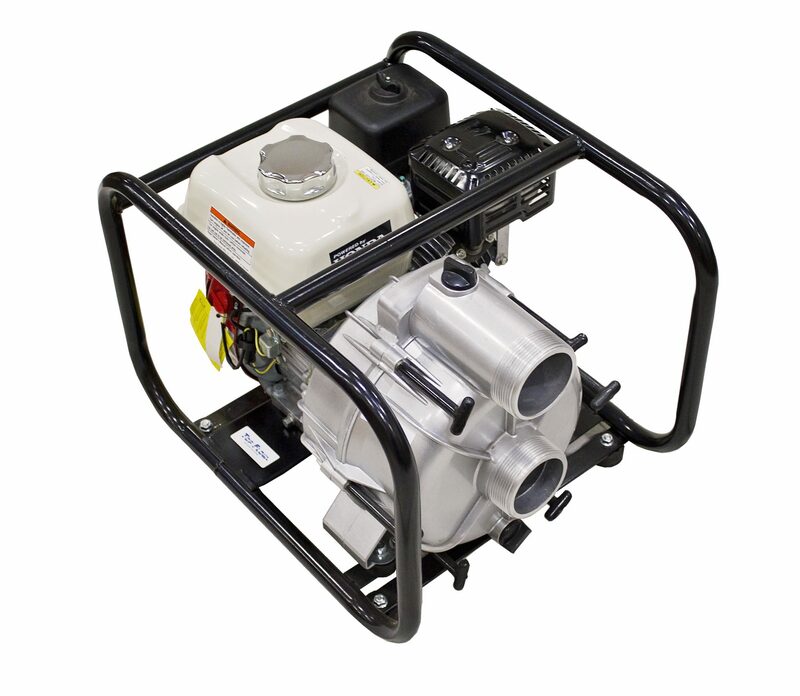 The self-priming Hypro pump features a lightweight aluminum housing with durable cast iron impellers and volute. Internal components are readily accessible and replacement parts are available for easy servicing. Hose is not included with this pump. Pump includes a 3” strainer basket with 1 1/8” openings.